The Samsung Galaxy S10 is packed with a 6.1" Quad HD+ Dynamic AMOLED Infinity-O Display, SD855/Exynos 9820, 8GB RAM, on-screen fingerprint sensor, reverse-wireless charging, and a 3,400mAh battery. The lowest price of Samsung Galaxy S10 is P38,000 at Taiyen General Merchandise, Shanylle General Merchandise and Lazada, which is 32% less than the cost of Galaxy S10 at Lazada (P55,990). This smartphone is available in 128GB, 512GB storage variants. The latest price of Samsung Galaxy S10 was updated on Apr 19, 2019, 10:09. The All-New Samsung Galaxy S10 comes with the Infinity Display. Its great edge-to-edge look that stretches top to bottom, with pixels spilling over the curved edges at the sides. There is no fingerprint pad on the back anymore, or anywhere visible on the phone. Samsung decided to put its sensor – now invisible – on the front, where we feel it belongs. The Samsung Galaxy S10 makes punch-hole displays a trend even after the debuts of other mobile competitors. For its dimensions, the Samsung Galaxy S10 measures 149.90x70.40x7.80mm and weighs 157 grams. The Samsung Galaxy S10 has a 6.1-inch 19:9 Super AMOLED display panel, screen resolution of 1440 x 3040 pixels, 19:9 ratio which looks better than anything Samsung sells its rivals. It has a QHD+ resolution too, which creates a pixel density of 550 PPI. This is to ensure everything on screen is highly detailed. Although the phone defaults to Full HD+, which looks as good and you probably won't notice a difference on a phone this size, unless you're using it for VR two inches from your face, which can also save battery life by burning fewer pixels. In the camera department, the Samsung Galaxy S10 rear packs a 12-megapixel primary camera with an f/1.5 aperture; a second 12-megapixel camera with an f/2.4 aperture and a third 16-megapixel camera with an f/2.2 aperture. The rear camera set up has face detection autofocus. It sports a 10-megapixel camera on the front for taking great selfies, with an f/1.9 aperture. The front camera also features autofocus just like the rear camera. The Samsung Galaxy S10 runs One UI based on Android 9.0 and packs 128GB of inbuilt storage that can be expanded using a microSD card which is up to 512GB. Powered with Snapdragon 855/Exynos 9820 Octa chipset based on Octa-core 2.8 GHz Mongoose M4/Octa Core 2.84 GHz Kryo 485 processor. This is matched with Adreno 640/Mali-G76 MP12 graphics processor unit. The Samsung Galaxy S10 is a dual-SIM GSM phone that accepts both Nano-SIM cards. For the connectivity options on the Samsung Galaxy S10, this includes Wi-Fi, GPS, Bluetooth v5.00, NFC, USB Type-C, 3G, and 4G, with active 4G on both SIM cards. When it comes to its sensors it also includes an accelerometer, ambient light sensor, barometer, compass, gyroscope, proximity and fingerprint sensor. It also features an IP68 rating for dust and water protection and also supports face unlock for an added security feature of the phone. The Samsung Galaxy S10 has 4 colors available to choose from, Prism Black, Prism Blue, Prism Green, and Prism White. The long-awaited Samsung Galaxy S10 is now available in the Philippines. It was officially released on February 2018 and its official price is Php 58,200. 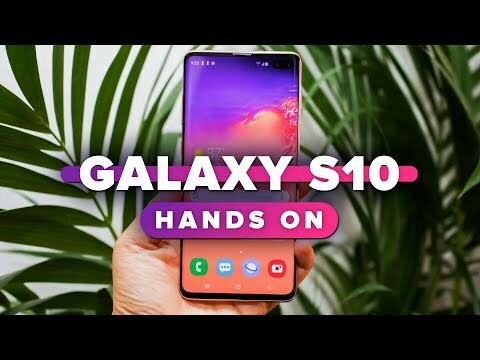 Aside from the Samsung Galaxy S10, the Samsung Galaxy S10 Plus which is the high-end version is available and the low-end model is the Samsung Galaxy S10e. Magkano po ang price nito sa market? Or sa mga malls?